Densho, the Japanese American Legacy Project, preserves the testimonies and memories of the Japanese American who were incarcerated. The site includes sections on the cause of the incarceration, a learning center and archives-- transcripts, articles, and photographs. Registration is required to view the archives. Exploring the Japanese American Internment through film and the Internet is divided into three sections, World War II & Roundup, the Camps Experiences, and Post War & Impact Today. The site explores through film, audio, photos, poetry, stories, and interactive activities. Stories and Images of Japanese-American Internment, via USA People Search. The Japanese American Internment, a website with pictures of camps, articles about the relocation, and links to related issues, is created and maintained by John C. Yu. The exhibit, on permanent display at the Japanese American Resource Center in San Jose, California's Japantown, depicts the internment camp life of the many local Santa Clara Valley Japanese Americans who were interned. This exhibit, not only displays some of the difficulties they experienced, but also the Japanese Americans' efforts to recreate some part of the life they had left behind. Japanese American National Museum provides someone documents and information online but is designed mostly for imparting information for visitors to the Los Angeles museum. Japanese Internment Media Resources List of materials available from Moffitt Library of University of California at Berkeley:The extensive list of film titles is annotated and provides information about sources for the films and other media resources. 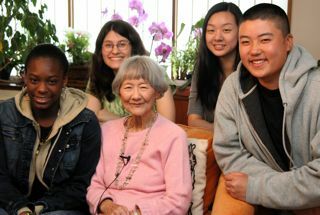 The Japanese-American Internment Liberty Themepark from the Utah Education Network includes resources for virtual field trips to internment camps, people to visit related to the internment, things to do, and webquests. Note: some of the links on this website are no longer active. Nothing to Fear but Fear Itself: lessons using resources, documents and photographs, from the American Memory collection of The Library of Congress. The United States Government, especially the Office of War Information, produced several films now available through The Internet Archive. Japanese Relocation: U.S. government-produced film produced by U.S. Office of War Information, narrated by Milton S.Eisenhower, director of the War Relocation Authority, defends the World War II internment of Japanese American citizens. b&w, sound film, 9:26 minutes. Japanese Internment: scenes of Japanese-Americans being shipped out of the Fillmore (San Francisco district) on their way to "internment". b&w, silent, 23 seconds. A Challenge to Democracy: U.S. government film produced by U.S. War Relocation Authority attempts to defend the massive internment of Japanese Americans in concentration camps during World War II.b&w, sound film, 17:13 minutes. Avenge December 7 (Pearl Harbor): unknown producer, film is a War bond sales promo stridently advocating vengeance against Japan for bombing of Pearl Harbor.It encourages purchase of war bonds as viewers leave the movie theatres.b&w, sound film, 1:45 minutes. Japanese American History Archives: The center, located on Sutter Street in San Francisco, contains an extensive, growing collection of books, periodicals, documents, maps, photographs, art and film relating to the Japanese experience in the United States from the mid-1800s, when the first Japanese pioneers set foot on American soil, to the present. Visits may be arranged.